You might be wondering what to do after completing the tutorial. Here are few steps you can follow to become the game-based learning super teacher! Install the TeacherGaming App for your students' devices, unless you want to use browser games only, which doesn't require installations. If you installed the app, test that the App works and install the games your lesson requires. 1. Browse the lessons on TeacherGaming Desk and select the one you want to have with your class. It can be a good idea to read through the lesson plan before the actual lesson. You can read more about selecting the lesson here: Browsing and Selecting Lessons. 2. 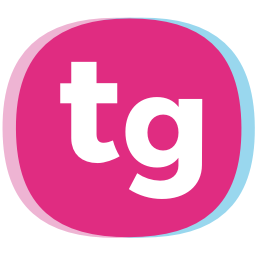 Install the TeacherGaming App, which is the application students will use for playing the games. (Browser games don’t need the App to be installed, but all the desktop and mobile games do.) Depending on your school policy, you can either install the App by yourself or request your school’s IT department for doing that. Instructions on how to install the App can be read here: Installing the TeacherGaming App. Test that the App works on student devices, before having the very first lesson. If you didn’t install the version of the app with all the games installed, you should also install the games you have planned to play. (How to install games?) Of course, your students can install the game too, but it will take some valuable time on the lesson. Before running the lesson, you can even try out the game yourself, so you have better abilities to help your students play. This isn’t obligatory, because our lesson plans include playing guide and tips - and usually students are the experts on games - but it for sure can be useful (and even fun). 3. Remember to create your class before the first lesson. You can do that on Manage Class menu with “Add New”. After creating the class, add your students with “Add Students” button. You can always add more students when running the lesson.